Different implant programmes may work with different cochlear implant manufacturers. 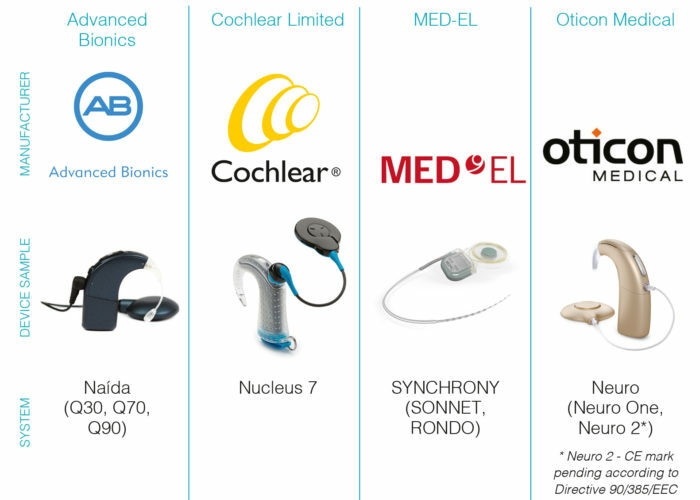 The Southern Cochlear Implant Programme works with four manufacturers: Advanced Bionics, Oticon Medical, MED-EL and Cochlear Limited. We have an array of information (brochures, booklets and videos) about each.